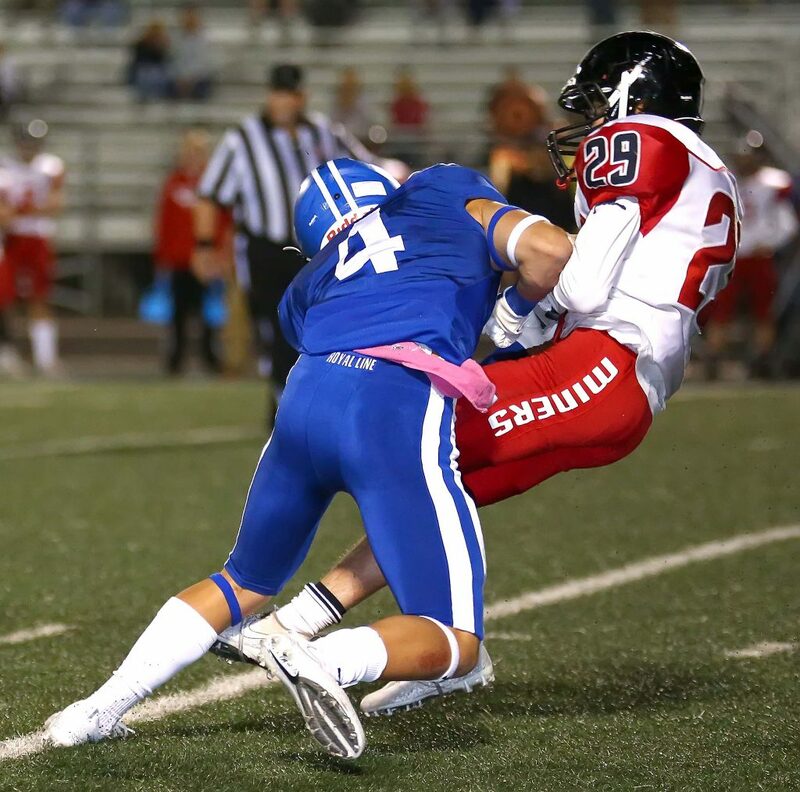 ST. GEORGE – A scrappy Park City team did everything it could to stay in the game with heavily-favored Dixie Friday night at Walt Brooks Stadium. But even with a lot of help from the Flyers, the Miners never really had a chance. 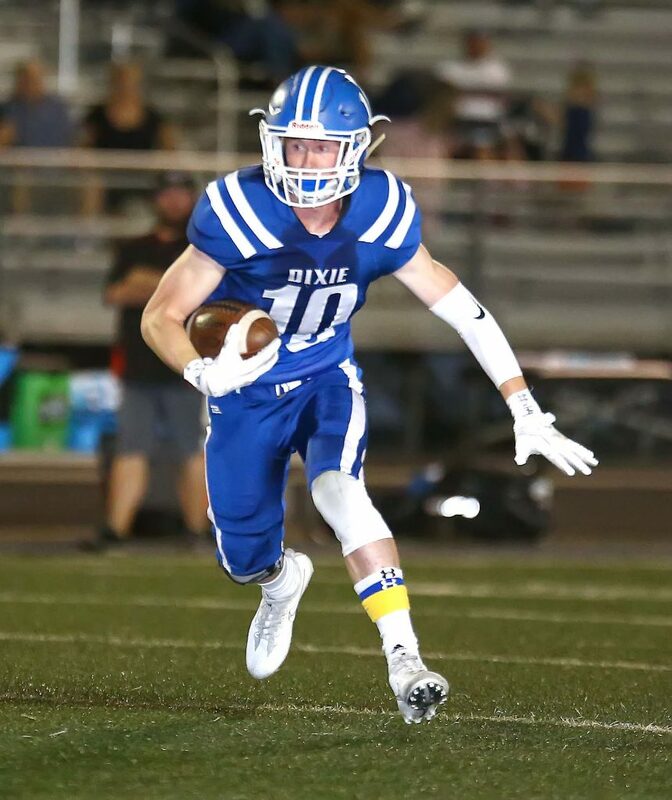 Despite 220 penalty yards and an inconsistent offense, Dixie cruised past Park City 30-6 in the first round of the 4A state playoffs. The game, which was never really close, ground to a near halt midway through the fourth quarter. 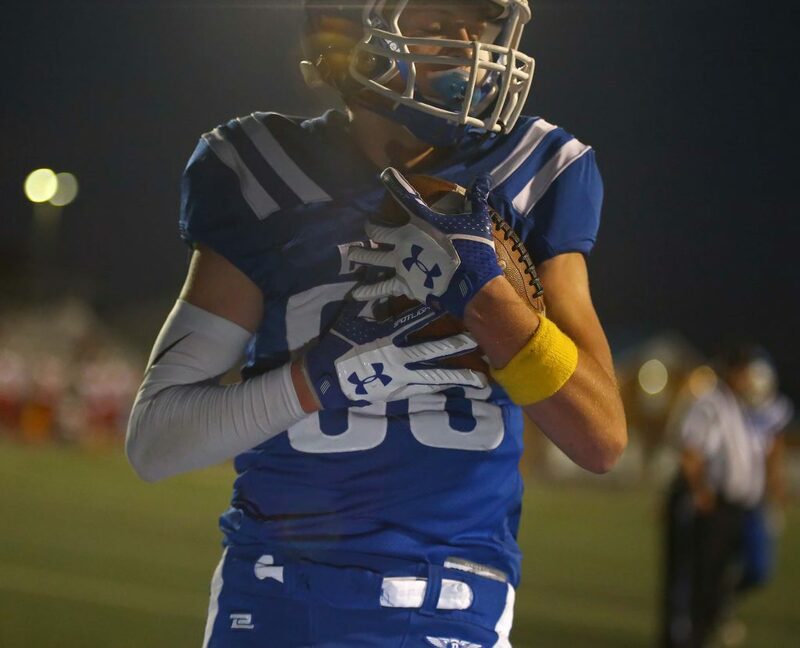 With Dixie getting called for just about every infraction imaginable, and Park City chipping in 90 penalty yards of its own, only the heartiest of fans stayed to the end of the contest. 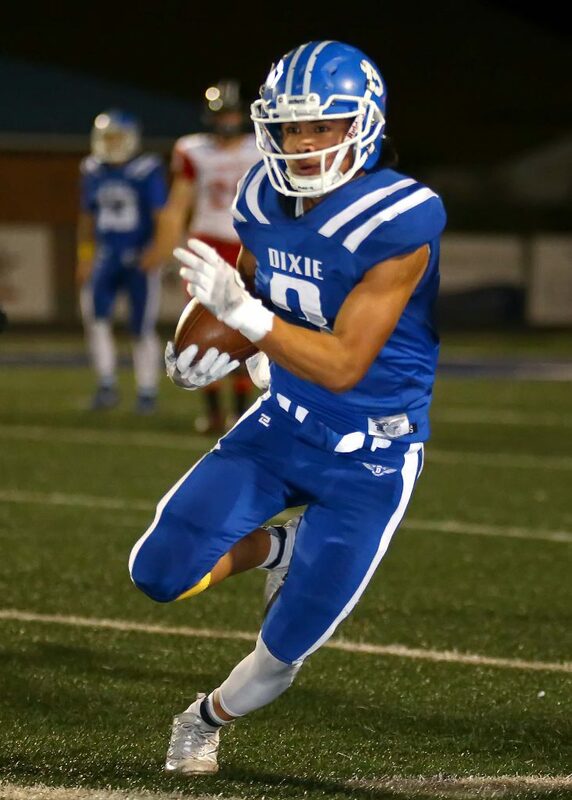 Ofttimes this year, the Dixie offense has carried the team to victory while the defense struggled against good offenses. But the No. 1-seeded Flyers leaned on their defense this time around. 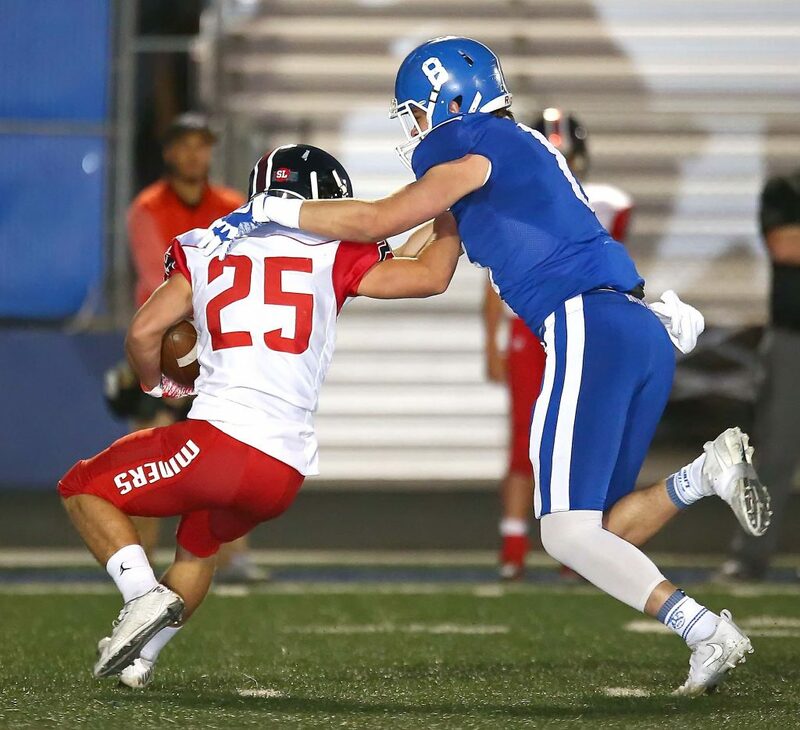 With Tyson Fisher and Kaden Williams hounding Park City quarterback Mark McCurdy and Matt Kitchen roaming the defensive backfield, the Dixie defense stole the spotlight. That D allowed just 71 yards of total offense to the Miners. 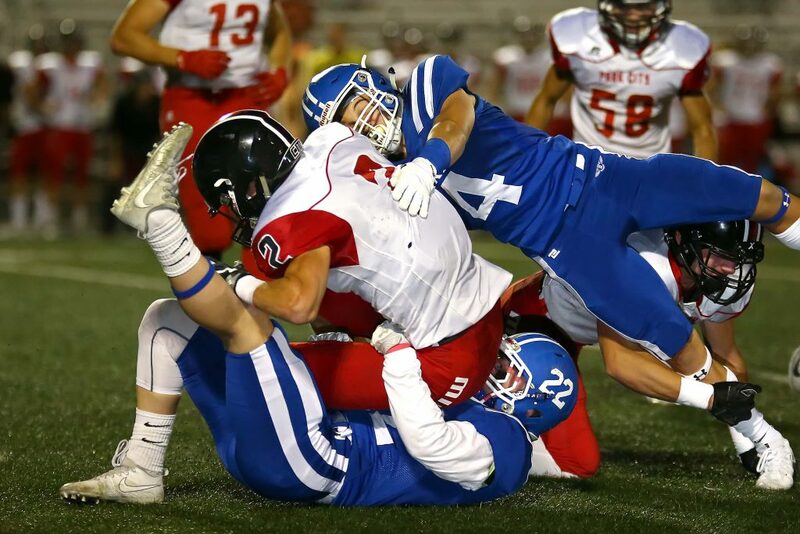 The only TD Park City scored came after a Jacob Barben interception and two 15-yard penalties (pass interference and personal foul). 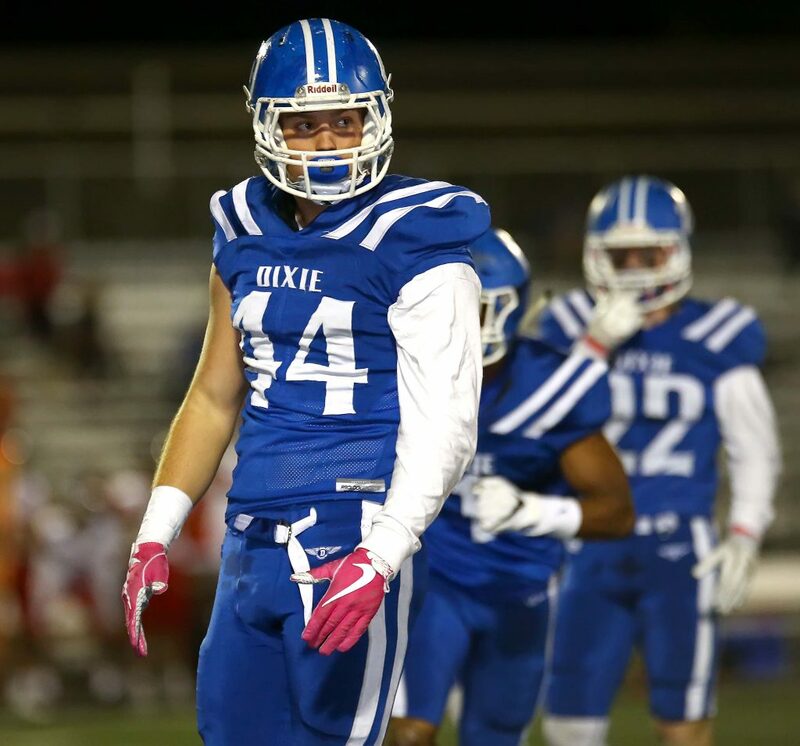 But by that time, midway through the fourth quarter, Dixie had already forged a 30-0 lead. 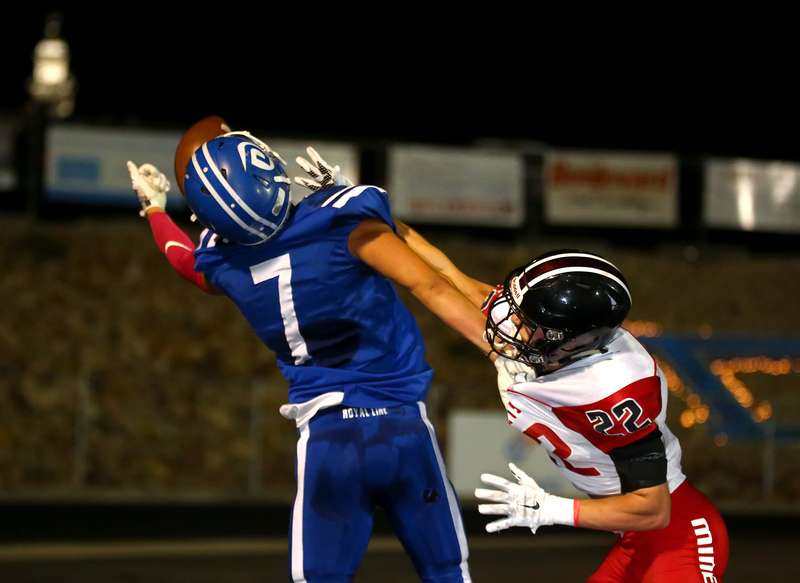 When Beau Pederson hit Tyler Shea with a short TD pass, it was a face-saving score for Park City, the fourth seed from Region 11. 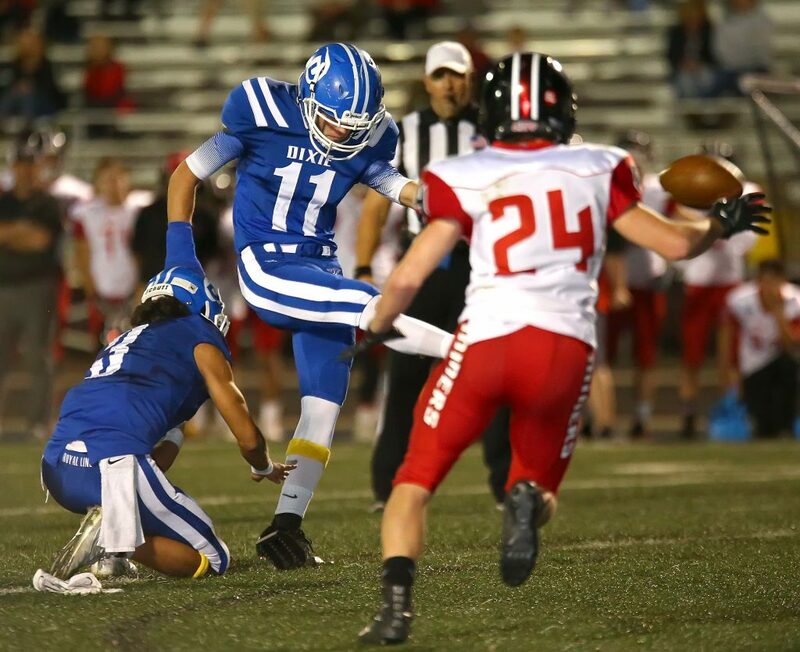 Up until that penalty-fueled drive, Dixie hadn’t allowed the Miners inside the 35-yard line. 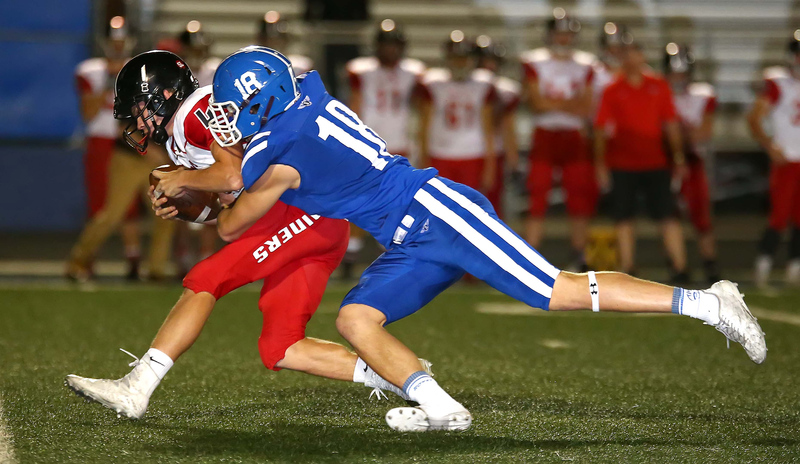 The Dixie defense was so good, in fact, that Park City scrapped its spread offense for parts of the game and went with a full-house backfield with Pederson filling in for McCurdy as QB. 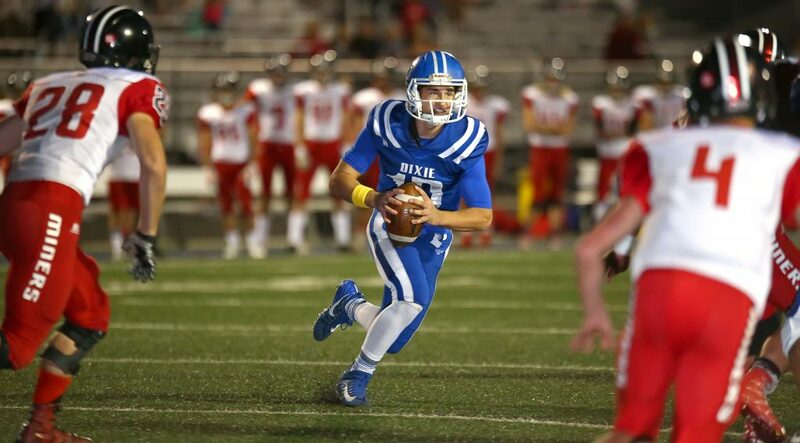 Dixie actually scored on its first drive of the game, but it took the offense 11 plays to go 51 yards. Barben hit Wyatt Forbes on fourth down from 6-yards out to make it 7-0 with 7:49 to go in the first quarter. That drive, and Dixie’s second possession, were signs that things would not be easy for the Flyer offense on this night. Kitchen got his first interception on PC’s next play, setting Dixie up at the 40-yard line (after a Dixie personal foul moved the ball back). Eight plays later, on another fourth-and-6, Myles Keenan booted a 31-yard field goal to make it 10-0. The Flyers had managed to gain just 26 yards on eight plays on the drive before settling for the field goal. But as inconsistent as the offense was, the defense was just the opposite. The Miners never crossed the Dixie 35 in the first half and punted the ball four times, while turning it over on downs once and suffering one interception. 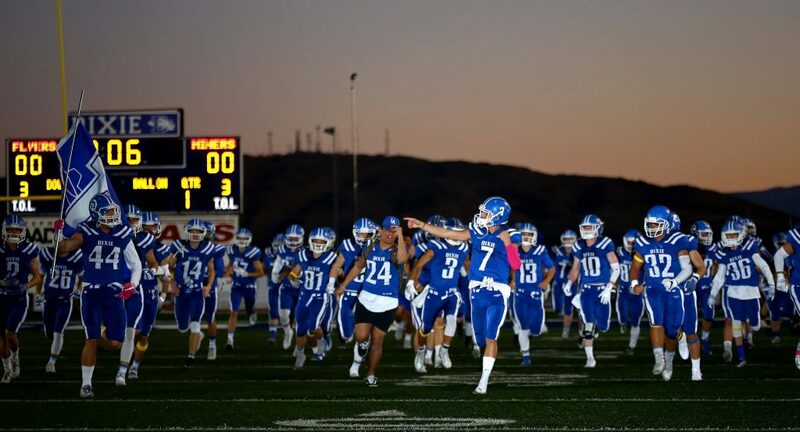 Dixie scored once in the second quarter when Barben tossed a rainbow into the corner of the end zone that a diving Nate Mahi caught for a 13-yard score and it was 17-0 at the half. 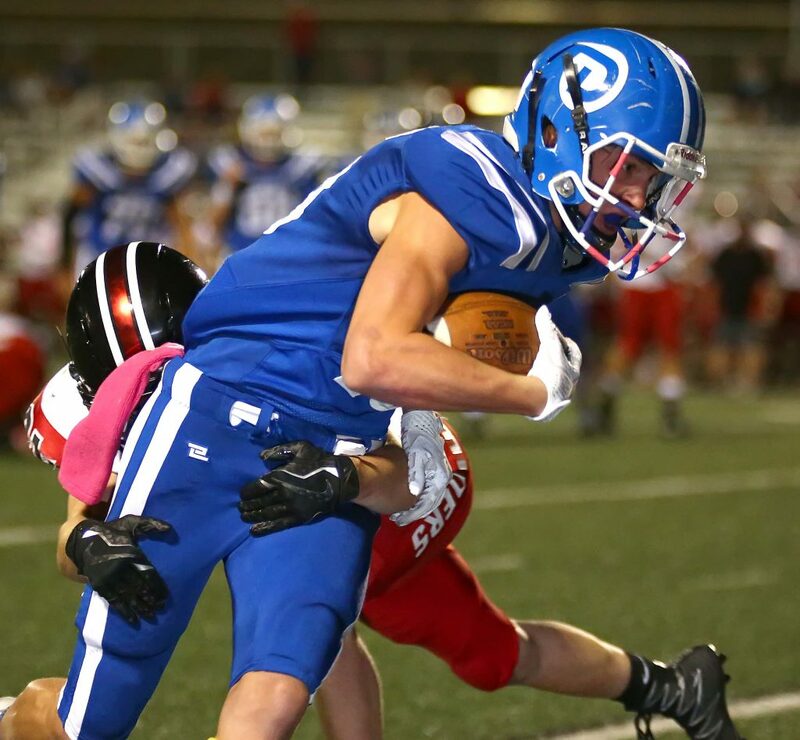 The Flyers seemed like they had made a few offensive adjustments in the locker room and scored just 3:29 into the second half when Hobbs Nyberg made one juke and then raced down the left sideline for a 26-yard TD. 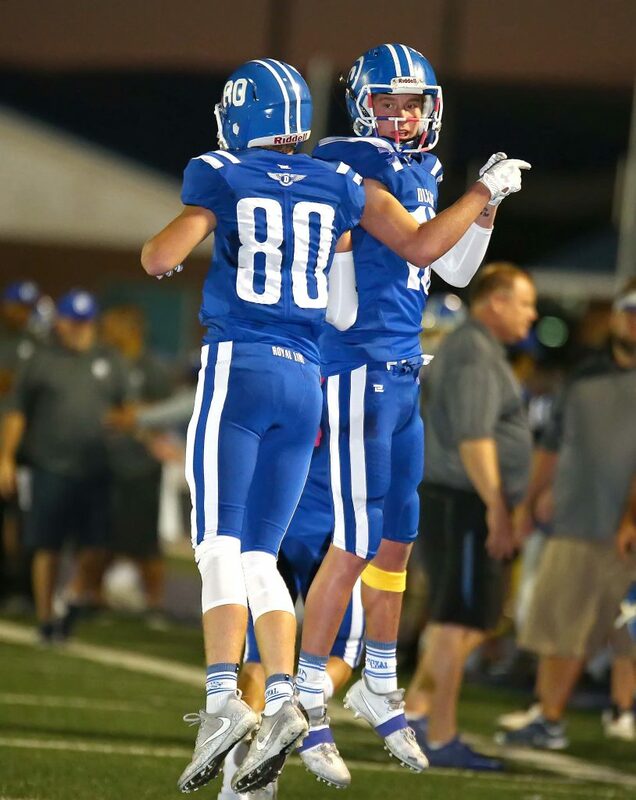 That made it 24-0, and Dixie upped it to 30-0 later in the third on a short TD pass from Barben to Nyberg, but the Flyers would not score again. 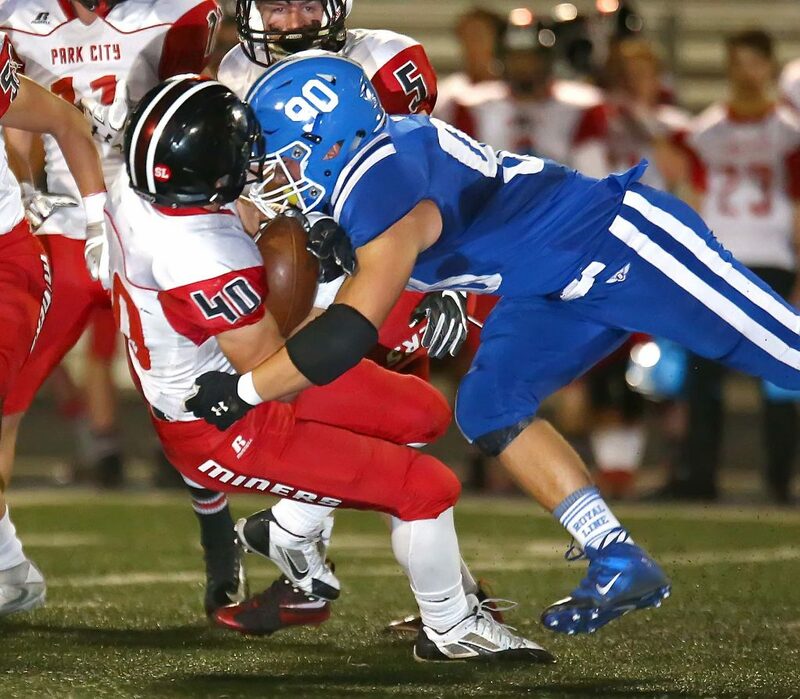 Park City’s first threat to get on the board was early in the fourth quarter. After blocking a Dixie punt, the Miners took over at the Dixie 38. But Kitchen made a spectacular leaping interception on Park City’s first play, stealing the ball away from Shea. Kitchen, one of the leaders in Region 9 in interceptions (he now has six this season), was not happy when Park City did finally score. 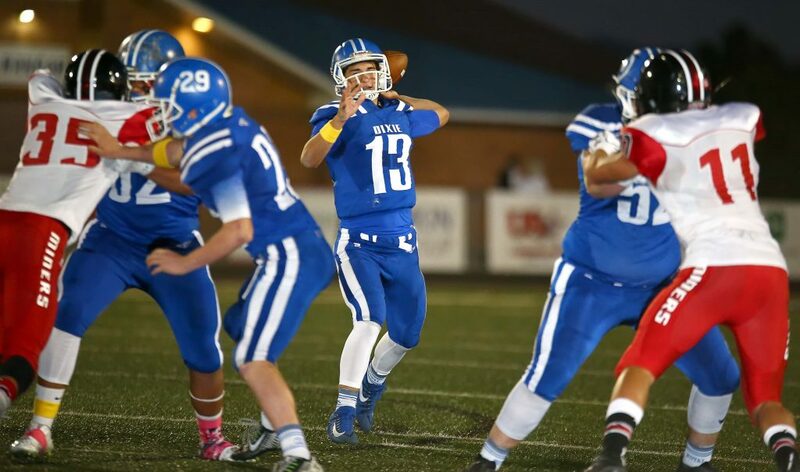 Even with the inconsistency and penalties, Dixie’s offense did manage to gain 413 yards in the game. Barben was 26 for 46 for 246 yards and three touchdowns, while Nyberg and Preston Moore combined for 128 rushing yards. Mahi and Payden Harrah were clutch in the pass game. Mahi had eight catches for 95 yards, while Harrah snagged six balls for 97 yards. 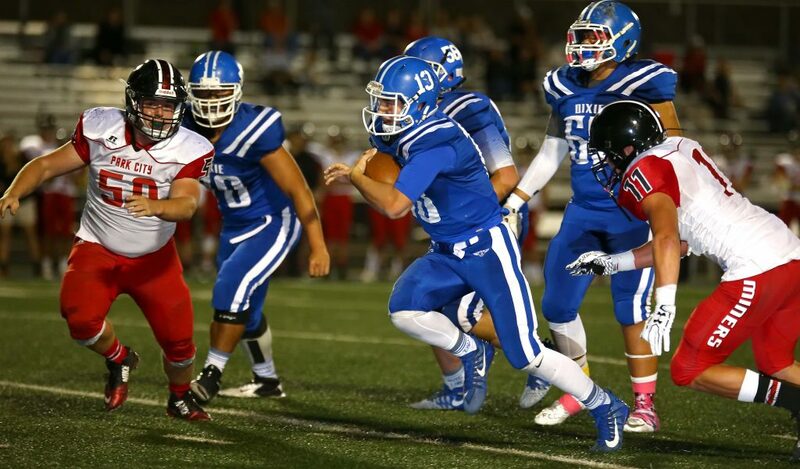 The silver lining for Dixie is that the Flyers showed they can win against a tough defense even on an off night. The Flyers had 21 penalties, including nine for 15 yards. 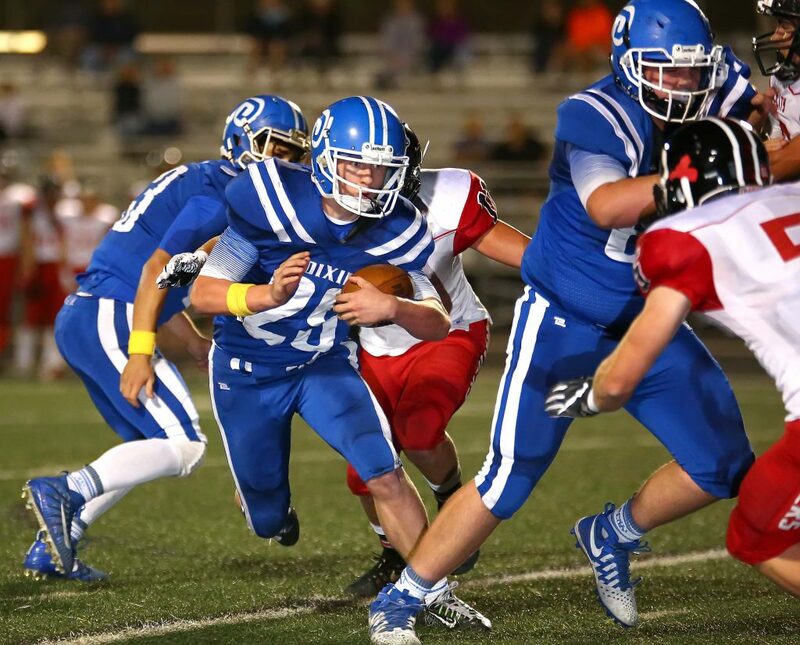 The Mustangs, who beat Salem Hills 44-31 Friday night, are the next opponent for Dixie. 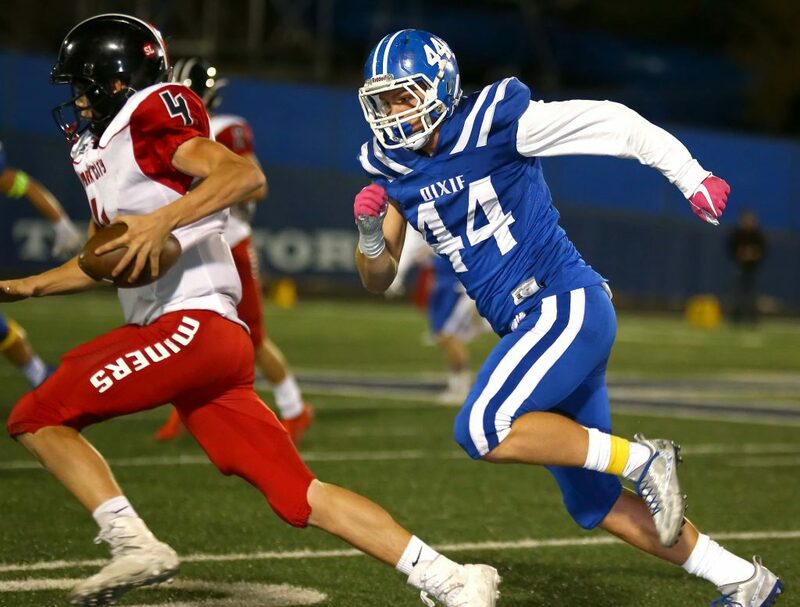 The Flyers will host Mountain Crest next Friday in the 4A state quarterfinals at Brooks Stadium. 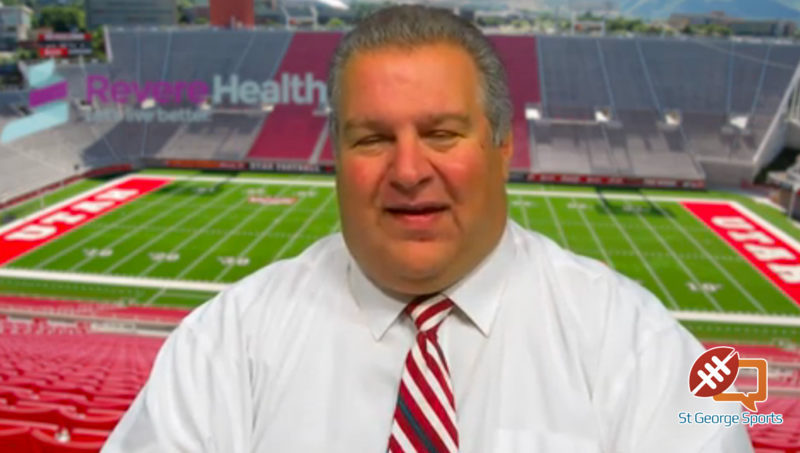 “They’re a really good football team and we’re going to have to play better if we want to win,” Stokes said. 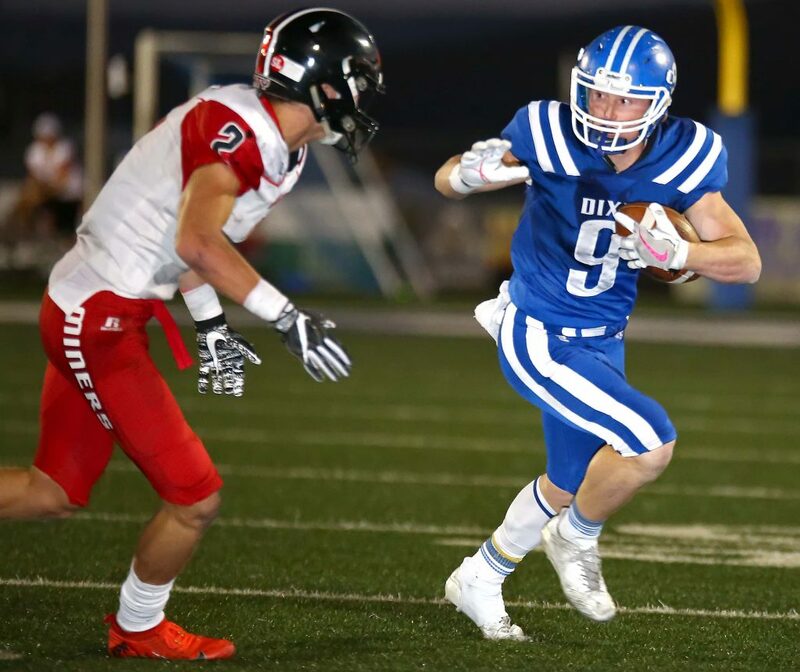 Dixie and Mountain Crest share identical 10-1 records heading into next week. Park City finishes its season with a 4-7 record.